During the CONNECT conference this past April in Niagara Falls, we had the opportunity to connect and network with all kinds of professionals in the education field. While presenting the green screen content, some of these professionals brought my attention to an app called TouchCast. Having only ever used DoInk, I decided to give this free app a try – and I was not disappointed. Don’t get me wrong, I love DoInk and the user-friendly nature of the app is fabulous for students, however TouchCast had all the same capabilities – and more! Just like any green screen software, it has the capability to turn the green background into the landscape of your choosing. 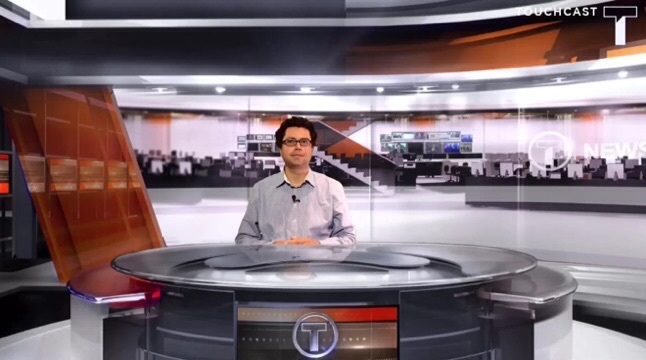 One of the preset settings is a newsroom, and it has users sitting at a reporting desk. TouchCast allows for the user to change the sensitivity to the green colour as well as de-green the setting and background stabilization. The capabilities of TouchCast blew me away, considering it’s a free app. There were a lot of settings and I had to really play around with the app for a while before I felt like I knew what I was doing, but after a few tutorials and YouTube searches, I had some awesome results. This green screen app has so many capabilities and the results are incredible. The curriculum connections that can be made within the classroom are limitless. Imagine, during grade 8 science, the students can create a video tour of a human cell, and point out all of the organelles as they pass them in the animation behind them! How much more interactive is that, versus building a model with labels on it? 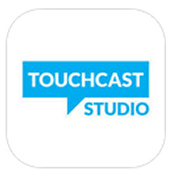 TouchCast is available for free in both the iTunes store Google Play store. This entry was posted in Google Play, green screen, iTunes, Tech Tool Tuesdays, video production. Bookmark the permalink.